You've invested time and money creating an attention-grabbing infographic. Now you can easily and quickly secure national editorial placement of it on 1,000+ local media websites, in 50 - 200+ print newspapers – and even have it shared by our network of social media influencers. The process is easy. You provide your infographic, and we’ll develop a 200-word supporting story that includes hyperlinks and your SEO keywords. Your infographic, along with the supporting copy, will then be distributed to our registered newspaper, TV and radio websites across the country. You can also include our Content Amplification service to drive more targeted clicks and social engagements to your story (learn more). Our infographic size guidelines are 600 pixels wide by 1600 pixels long. If your image exceeds these dimensions, our editorial team may be able to work with you to resize it. For print distribution, we will work with you to develop a smaller image that features an important portion of your infographic, since most print outlets are unable to run full-size infographics. We will then distribute and track this smaller image (or a lifestyle photo), along with your supporting copy, to local print outlets. 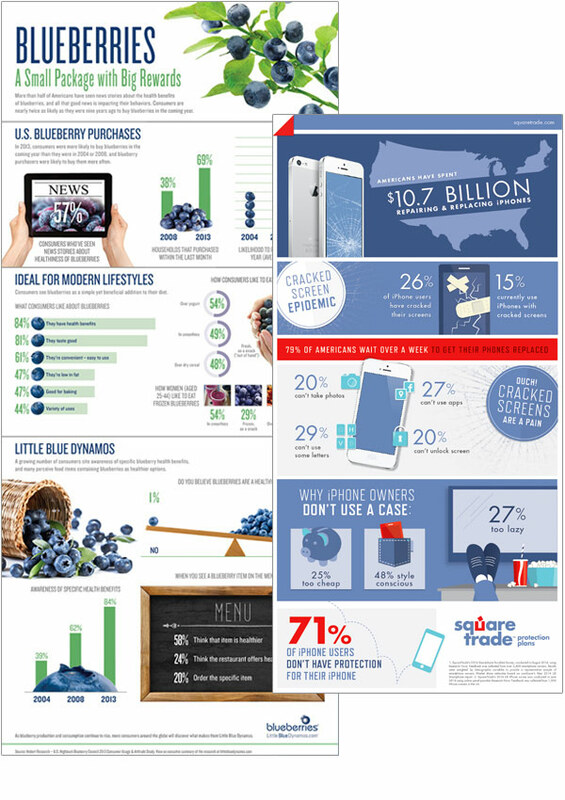 Each Infographic includes print and online distribution. Additionally, you can include our Content Amplification or Spanish Translation & Distribution to reach an even larger targeted audience. In addition to 1,100 – 1,300 media placements and 150 million audience reach, each infographic comes with the deliverables below.